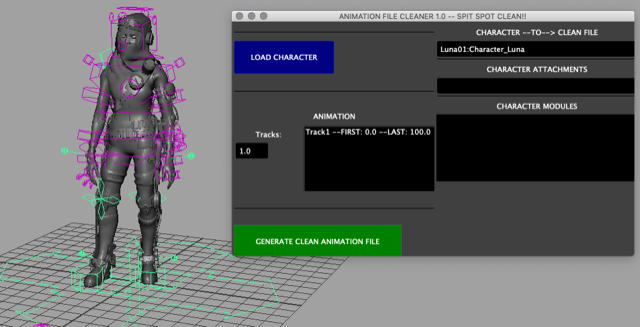 The character loader tool enabled an artist to load a character rig and its associated attachments and modular rig parts. This also allowed for swapping one type of attachment or module set onto the character as needed. 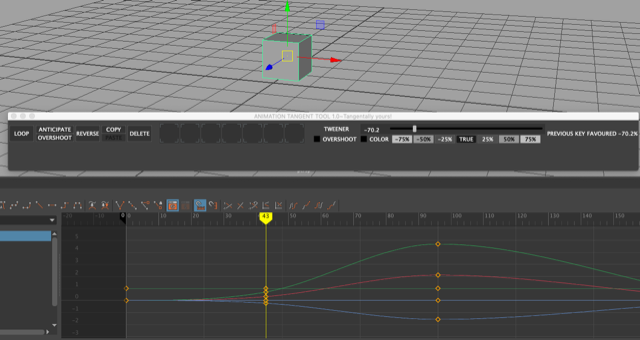 This tool allowed animators to switch between FK and IK on controls as well a switching over a time range. 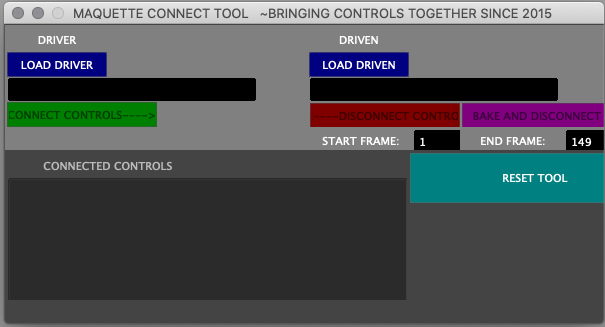 This tool allowed animators to switch the relative parent space of controls from one to another. 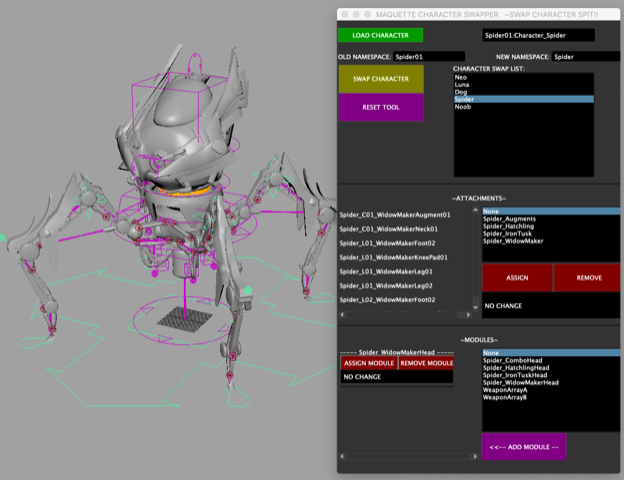 This tool allowed animator to save motes into an animation file as they worked. 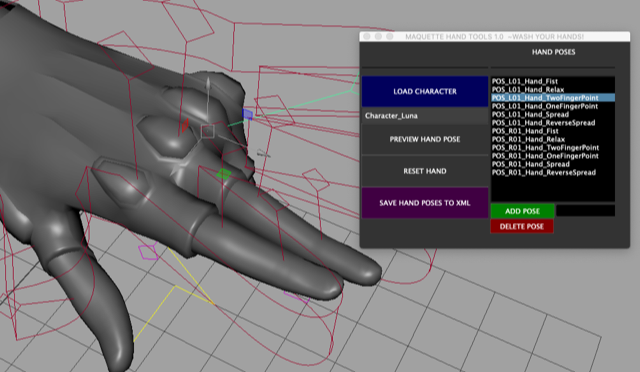 The hand pose tool allowed animators to save and preview specific hand poses on the character rig. 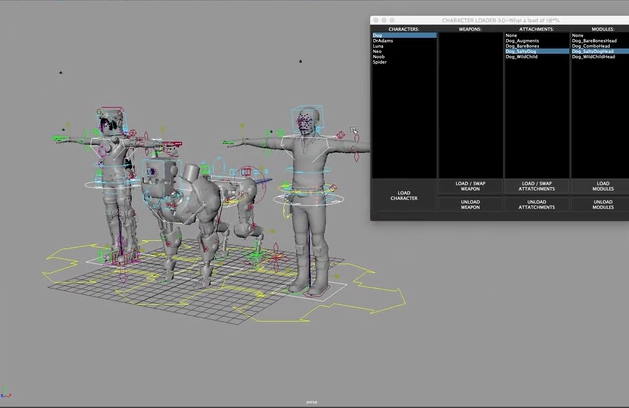 These poses were connected to he hand control to be accessed by animators while they work to simplify tedious hand animation tasks. This tool allowed animators to adjust keys on a control and add in-between keys using slider or percentage. It also allowed an animator to adjust the anticipation / overshoot of keyframes. It also has functionality to copy / loop / and modify keyframes or a region of keyframes selected in the graph editor / timeline. 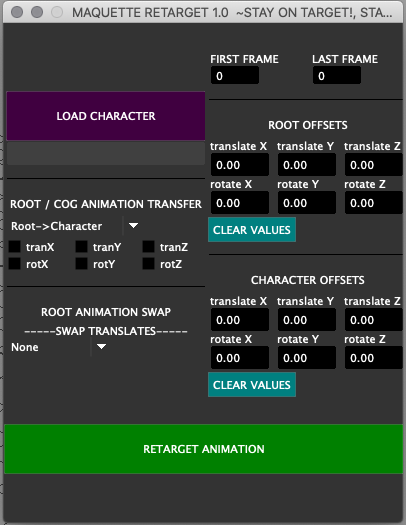 This tool allowed animation retargeting from a character’s root. This was used primarily to retarget gross body movement for walking, running, strafing, and movement in different directions. It could deal with offsets and retargeting animation from a characters root to a pedestal control used in game motion. 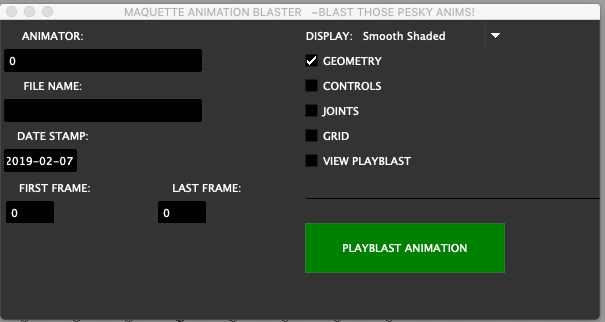 This tool allowed animators to create playlists of their animation with options for visibility of the rig. It would date stamp and add artists’ information for an animation lead or art director to review. This tool allowed animators to clean an existing animation file by saving a new file with the animation retained onto a new version of the rig with its attachments / modules . 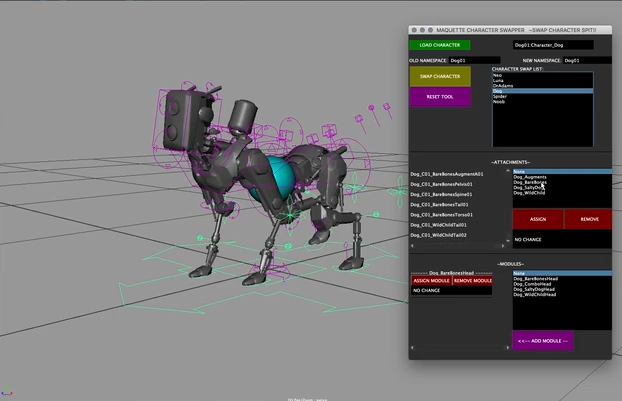 This tool allowed the user to export multiple animation tracks from an animation file for characters. It would export individual FBX files into the game engine for each track. 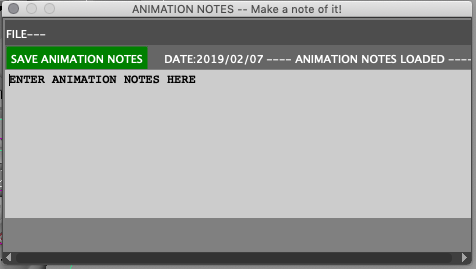 Animation track information would be retained / saved in the maya file so that all previous tracks would be available. 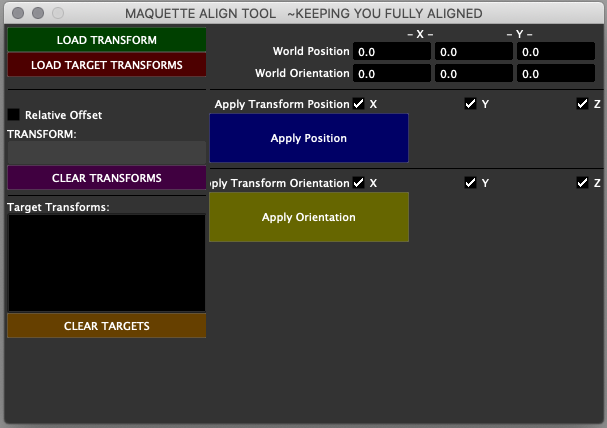 This tool allowed the user to align any arbitrary target transforms to another transform. World position and orientation could be viewed as well as any relative offset of the transforms could be maintained. 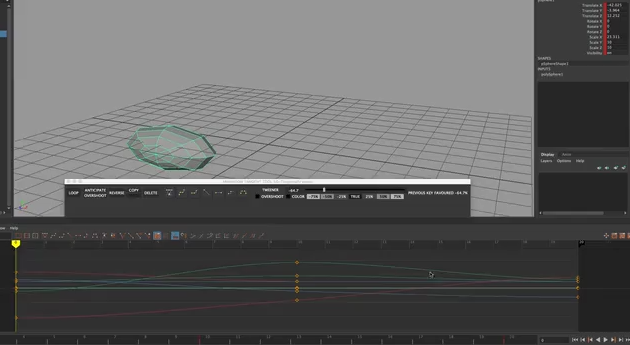 This tool allowed animators to connect / create relationships between controls. 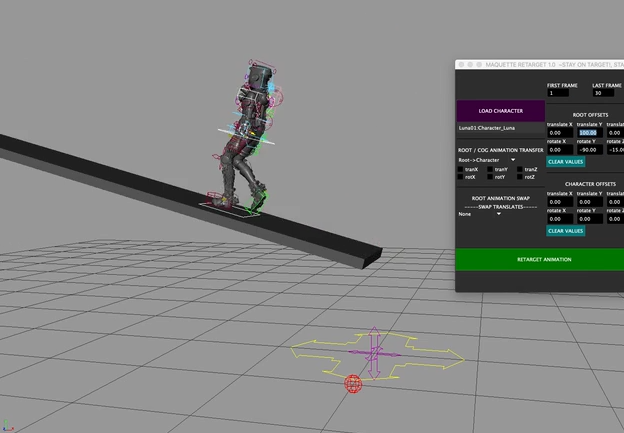 It also allowed for baking of animation onto connected controls. 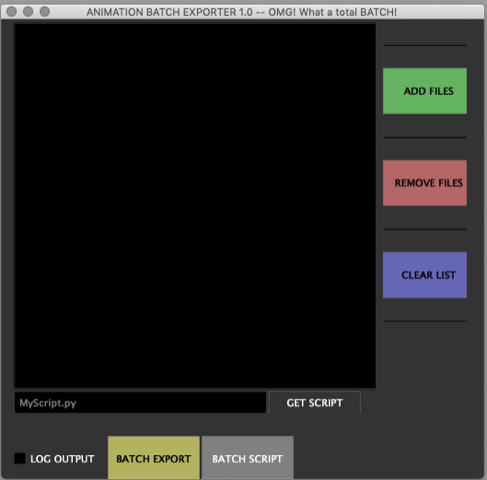 The batch tool allowed any number of animation files to be exported and also allowed any number of maya files to be processed using python scripts associated with procedures needed.